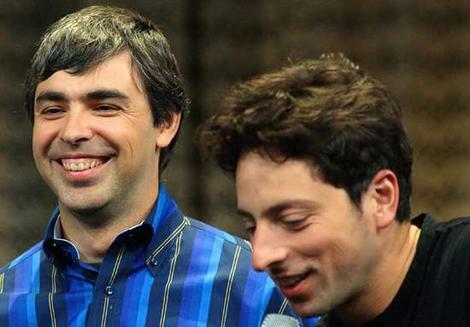 The legendary founders of Google (Larry and Brin) bask under praise, at a meeting in 2006. It was a warm Sunday morning, some time back, at Mysore. I was having coffee (at a small cafe) with my good friend Mr. Vivek Balse, a senior front line field personnel with Pfizer. Suddenly, he excused himself, got up and went across to a bespectacled gentleman standing alongside a new bright red Maruti Swift car; Vivek spent some time talking to him. After some time Vivek came back smiling to me. Vivek said to me that he was talking to one of the leading OBG specialists in Mysore, apparently a lot of conversation was about the new car the doctor had acquired. Mr. Vivek said that he did praise him a lot for having purchased the new car. The doctor was very happy receiving this praise. Mr. Vivek added, that genuine praise was a powerful sales tool, and he was confident that this impromptu call at the restaurant would continue to generate prescription results. Such was the power of authentic praise, he added. Praise is an expression of admiration and commendation. We tend to use the same very sparsely in day-to-day life! Hey! Just come to think of it, if you are married for 10 years and above, just try and recollect when was it that you praised your wife?!! After a certain no. of years of marriage I think praise gets a little scarce! And this happens in professional life too when employers and employees have spent some time! Everything is sort of taken for granted, praise becomes dearer!! It happens while transacting with customers too!! It becomes very mechanical and mundane. Praise is sacrificed on the alter of boredom!! Praise is a very basic human need and it has very important antistress qualities. Praise lightens the atmosphere, and refreshes human relationships. Praise helps people generate matching wavelengths. Praise creates enthusiasm. Praise makes people smile. Praise makes people have win-win relationships. Praise inspires people to work for the avowed objectives. Praise is not a function of "child ego state". Need for praise or the need to praise is not a sign of weakness in human relationships. Praise is an important 'fertilizer' of human activity. Praise need not indicate approval or sympathy seeking behavior. Praise, simply, is a positive stroke that waters relationships. IN INDIA, KINGS AND MINISTERS HAD UNDERSTOOD THE IMPORTANCE OF PRAISE IN COURTLY AFFAIRS. "HOGAL BHATTAS" (PEOPLE WHO PRAISE). SUCH WAS THE IMPORTANCE GIVEN TO PRAISE THAT KINGS ENSURED PRAISES WOULD COME WITH FULL FLOW, EVEN POETICALLY, THROUGH THESE SPECIAL APPOINTEES: "HOGAL BHATTAS"
PRAISE WOULD LIGHTEN THE BURDEN OF TENSE MOMENTS IN COURTLY AFFAIRS, AND WILL INSPIRE INVOLVEMENT, IMPROVE SELF-WORTH, LATERAL THINKING, IMPROVE OUTPUT, AND THEREBY THE KING'S SUBJECTS WOULD BE BENEFITED. Do not take the praise concept lightly!! All working people - independent professionals and employees, and even employers or the senior management - are all human. All work to achieve some goals in personal life and professional life. During inter-personnel transactions, besides achieving certain goals, innately everyone is looking for positive strokes. Praise is an important positive stroke. Praise is a key positive reinforcer that can be used to as an influencer to generate desirable behaviours in customers and employees. Praise as a concept is often seen with suspicion. People who praise, are looked at skeptically: is this guy praising because he wants something? Is it sycophancy?? Is the person praising, taking me for a ride?! Is he doing it to get something out of me?! This particularly happens in companies where the powerful sometimes get praised by their minions!! The powerful then tend to take the praise with a pinch of salt!! When a guy (may be the boss or colleague) praises a gal, the lady will blush (atleast inside, if she sort of trusts the guy) or it will set the alarm bells going in her mind!! Hey, I better watch out - she will think!! When a subordinate suddenly comes under praise by his rather khadoos (angry and stingy) boss, the subordinate will start suspecting the praise!! So the moral is - to praise, first ensure there is mutuality and trust in the relationship. It may be with a powerful executive, a subordinate, a customer, or your wife ... but ensure that praise is on the platform of trust! When a doctor or chemist suddenly gets praised by a MR, he will become defensive. Praise needs to be used like salt - a bit more will make the food inedible, a bit less will make food bland. Praise needs to be used with a bit of 'culinary skill'! Praise can be communicated in many ways! I remember when I had just joined Themis, some time in early 1990s, we were training at a hotel at Chennai. I was a trainee then. There were a few cute girls staying in nearby rooms on the same floor and they too had come for training from Bombay for some other company. The guys wanted to somehow give 'positive strokes' to these girls!! The next day morning, a nice poster, made overnight, praising them was passed to them along with the morning newspaper!! Wow!! You should have seen the effect it had on them - their dressing, vocal tones, "bhav" ie., the way they threw their weight around and generally behaving hard-to-get was seen to be believed!! It was fun!! Anyway, pity, they left for Mumbai on the same day, and that is where the incident closed!! But the moral of the incident for me was - just a few words of praise written on a poster had such a dramatic effect on the atmospherics!! Praise is indeed a powerful tool of selling!! Praise should be made in the correct situation. When praising there are certain delicate points to be noted. If it is a lady doctor, praise should be used with great caution. I have witnessed a transaction where a young MR praised a lady doctor with full fascination for her personality, he did this probably on the first or second call in front of a patient who happened to be there, the lady doctor was not amused, she roundly ticked him off!! Later I learnt that the first-line manager had to rush to do some damage control, of course, being a lady, she was understanding and she pardoned the young MR!! Language of praise should be in line with the age and stature of the person too. If it is a very senior doctor with a load of degrees, even genuine praise by a young MR will not have any effect, it will drop off like water from lotus flowers!! Praise can be communicated through a third party manner. Let us say, a group of MRs appreciate a young product executive's speech. And if this message goes to the product executive's boss, if the boss communicates this message to the young product executive it will have a fantastic impact on the product executive's self esteem and working! Praise is an important religious trait. Particularly, in Christianity praising the Lord and worship has a lot of emphasis. Praise is a divine gift to humanity. So praise can be used in worldly affairs too for telling effect. If you click here you will read how praise can produce good results in life management. Praise has powerful influence in strengthening sense of self-worth, this in turns creates desirable behavioural outcomes. Generating high performance from companies, employees, and customers will require good praise as a tool! Praise can be used better in daily management. This concept is highlighted here (please click). Praise is a powerful change agent!! Read about it here!! Mr. John Mack's words of praise still have an inspiring effect on me, not to say the least, one inevitably reserves the best of praise to Mr. Mack, Mr. Truelove, Mrs. Amy, and Mr. Rich Meyer , and many others like Dr. Charakan, Mr. Harish, and Mr. Kallianpur for their untiring work on the net!! Thnks!! I genuinely praise you for reading this blog!! Please scroll down, read other blogposts, click on older posts whenever required, pls recommend this blog to your acquaintances. Let each husband praise his children, wife, and other people!! Thank you very much for your mention and genuine appreciation of my work. I have considered you to be a pioneer in the Indian pharma blogosphere and a compliment from you means a lot to me!